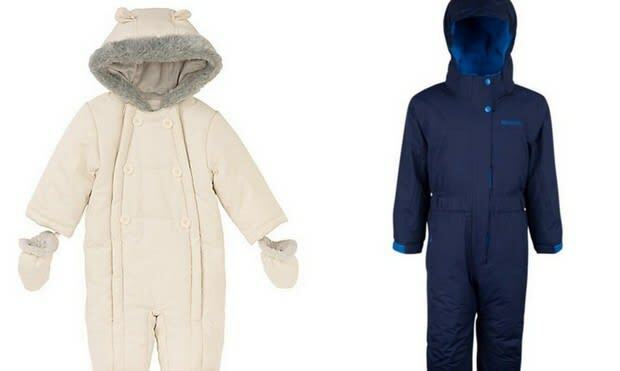 Details of Prince George and Princess Charlotte's affordable skiwear | HELLO! Princess Charlotte is following in mum Kate's stylish footsteps. The adorable little royal was as cute as a bunny — ski bunny that is, while on holiday in the French Alps with her mum, dad Prince William and big brother Prince George. For the family-of-four’s latest portraits, the little princess proved it’s easy to be fashionable on a budget. The 10-month-old kept warm in the snow wearing a £28 off-white John Lewis Baby Wadded Snowsuit. The adorable snowsuit features animal ears on the faux fur trimmed hood along with detachable mittens. Charlotte completed her snow bunny ensemble with pink booties and a matching pink Fair Isle style knit hat. Meanwhile, Prince George opted for a more sporty look, wearing a navy Cloud All In One Snowsuit from Mountain Warehouse. The waterproof outfit, which is "ideal for fun in the snow" is currently on sale for £24.99. The one day future king topped off his ski attire with a red knit woolly hat. Like his two-year-old son, William decided to wear blue for the royals’ first holiday as a foursome. The 33-year-old donned a bold blue Spyder Garmisch Jacket. The avid skier paired his look with black trousers, a woolly hat and Oakley ski goggles. Kate, on the other hand, appears to be living up to her title as the queen of recycling. The mum-of-two wore the same snow gear (a white jacket from E+O and coral red ski trousers) that she wore back in 2008, while hitting the French Alps with William and her family. For her holiday last week with her young children and husband, the Duchess kept her enviable locks under wraps wearing a woolly hat topped off with ski goggles.